Other or former cars.. post 'em up! Well let's see if i can remember? My 2013 GT350. Shelby American produced 36 GT350's in 2013, with 12 being convertibles. Only one was a widebody convertible, and mine is that car. 624HP with the six speed manual. PS: Why do some of the photos show fine and others have an graphic saying "please update your account to allow 3rd party hosting"? Is that an issue with my account, or the poster's, or with the fusionenergiforum web site? I hosted my photos from this site, and they are still showing. The ones that have issues are hosted from another site. What a ride! I'd be happy with winding out a V6 stick, that must be phenomenal. None of my rides cost me more than $6,600, until I bought the Fusion. Total first cost, before the FFE purchase, was ~$32K, (~$35K if I include five motorcycles). All vehicles except the Vega (and current Alfa and FFE) reached at least 100K miles, and were given away or junked. Is this the worst list or what?! Although the Beetle and Alfas and Jeep were kinda cool. That's a fun list of cars! 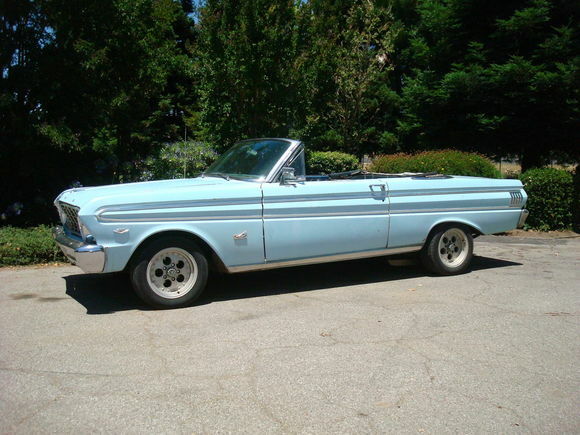 I still have my 64 Falcon convertible with a 289 and a four speed. I've had it over 30 years now. 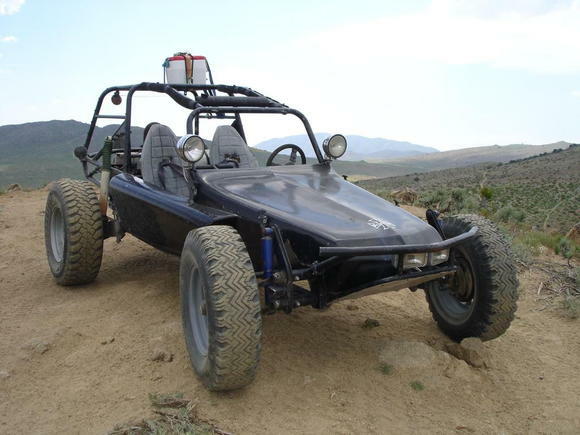 I also have a 77 Hi Jumper dessert buggy. It's a lot of fun to take up to the sierras and hit the logging roads. 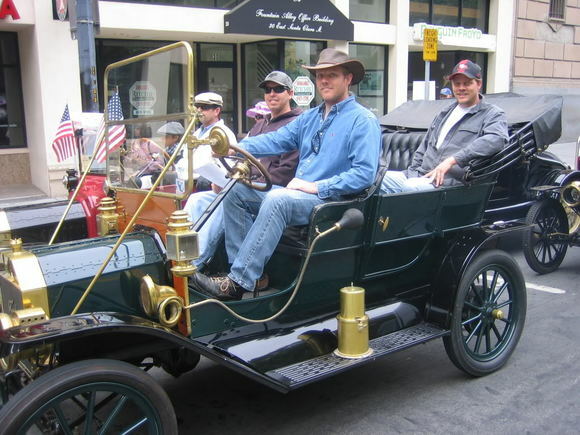 And someday I'll inherit this 1910 Model T.
First car was a 2008 Fusion SEL V6 AWD with tons of rattles but otherwise solid mechanical reliability. I bought it in 2012. In 2014 I traded in the 2008 Fusion for a certified pre-owned 2013 Fusion Hybrid ice storm with the luxury and tech packages and Active Park Assist. I absolutely loved that car to death and sank hundreds into personalizing it, but eventually upgraded to the 2017 Energi nearly fully loaded because I really, really wanted that sweet safety tech. For one year I temporarily drove my dad's 2003 Lexus LS430 while my parents took care of the FFH, since I was in grad school. That was one fine automobile. I also have a 2015 Escape titanium fully loaded (minus moonroof) as my secondary car. I inherited that from my sister because her company has sent her abroad temporarily for work. When she moves back I'll hand it over, but she doesn't mind if I trade it for something else as long as she gets to have it lol (thinking of changing it to a 2018 Equinox or Terrain when they hit the used market). Whenever I visit my parents for the holidays I share their 2009 Lexus LS460 or 2018 Chevrolet Volt. Edited by 4cylinder, 06 February 2018 - 09:09 AM. My first car was an '84 Honda Civic. Ugly as sin, but ran like a champ. My first new car was a '02 Saturn SL1, damn thing finally gave up the ghost back in June. 1988 - 1995 --'77 toyota celica, what a car!